Introducing the world’s 1st lithium battery Argan Cordless Straightener. .. Winner of the Best Curling Iron 2013 & 2014, Muk has now made available single attachme.. 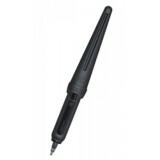 Cloud Nine / Cloud 9 The Wand - Curling Wand One-touch temperature control &nb.. Cloud Nine / Cloud 9 The O Ultimate Set Black Super Fast Heat Si..